A classic self-help book for individuals suffering from depression. Learn some of the best cognitive-behavioral strategies. Discusses how to overcome fears, phobias, and panic attacks; improve intimate communication, and cope with anxiety disorders, and includes information about commonly prescribed medications. A wonderful book with simple ideas of mindfulness. A comprehensive introduction to the practice of "insight" meditation to cultivate a profound inner calm and awaken to the truth. A great book for understanding the nature of panic attacks and powerful cognitive-behavioral treatment strategies. Step by step cognitive-behavioral therapy strategies for individuals suffering from chronic anxiety and worry. Step by step cognitive-behavioral therapy strategies for individuals suffering from obsessive worry and compulsive behavior difficulties. 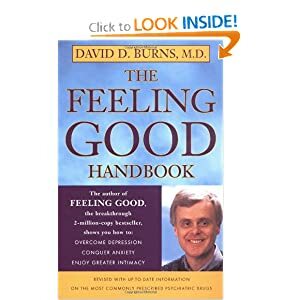 Another great self-help book for individuals suffering from OCD. This self-help manual describes step by step programs for overcoming a variety of fears and phobias. 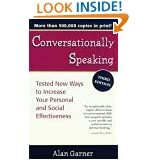 A superb book for improving social and conversational skills. Anxiety Disorders Association of America: Complete information on anxiety, as well as a special section on teen anxiety. Seattle's 24-hour Crisis Clinic: For those in need of emergency assistance please contact this very helpful crisis hotline. They also are an invaluable resource for community information, including low/no cost counseling services in the Seattle area. A teen link and TDD line is available. Resources on Coping With Traumatic Events: It goes without saying, that many of us have suffered with our nation's recent tragedies. This APA-sponsored site will link you to a variety of helpful resources. Brain Injury Association of Washington State: Information, resources, and links for survivors of TBI and their families. Internet Mental Health: Mental health help on the internet. Information on psychiatric disorders, research, and treatments. The goal of this web site is to improve understanding, diagnosis, and treatment of mental illness throughout the world. Dr. Bob's Psychopharmacology Tips: Information on medications for psychiatric disorders. This site also incorporates interesting and helpful mental health links. Medscape: Medical news, updated daily, covering various aspects of medicine, including headlines, medications, specialties, and a daily question and answer. Rational Recovery: A non-12 step program for ending alcohol addiction through planned abstinence. Seattle Insight Meditation Society: A community offering teachings on practices to promote personal investigation, wisdom and compassion. Insight meditation classes are offered in the Seattle area and online. Seattle City Search: A great web site for information about activities, attractions, dining, music, and sporting events in Seattle. Remember, pleasant activities can enhance your mood!